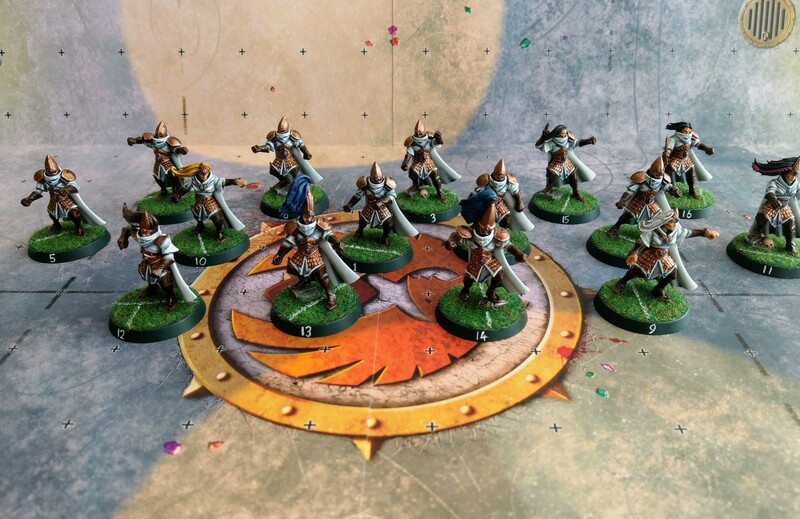 Ahead of their inaugural season in the Dragon Bowl League, the Avelorn Avengers of Ulthuan. Knowing that – however violent and brutal they may be – they’ll still be seen as ‘kin elves, so they’ve fully embraced their feminine side and stitched flowers all over their cloaks. Made using the GW Shadow Warriors box and following a great conversion walkthrough on Warhammer Community. Shoulderpads are from the Cadian Infantry set, and the back numberplates are the ‘feet’ from sprues, filed down.